Finding your dream job and making it happen is a goal for so many people. How do you even start that process? For some, it’s figuring out what you want by knowing what kind of job and/or career you don’t want. Others have known their whole lives what their biggest desire is in terms of their work. In my own experience, I always knew I wanted to be in the business world and while I began my career at an ad agency, I quickly realized that was not my dream job. I still loved my field of marketing and advertising, but working with tech and airplane clients just wasn’t inspiring to me. People do their best work when they’re inspired. That was certainly true for me! So, I made a list of everything I loved and was inspired by and what kept popping to the top of the list was movies. I’ve always loved movies, have always been inspired by movies, and finally realized, I can market or advertise anything. So, why not movies? If I could work for a major motion picture film studio in Hollywood, and have a career marketing films….wow! Now, that would be my dream job! Here’s the good news, I manifested my dream job in Hollywood, and spent over 15 years marketing movies at Disney for their films from Disney, Pixar, Marvel, Touchstone and Dreamworks. And, I’m going to tell you the strategies I used to make it happen. In order to manifest your dream job, you do need to know what it is you’d like to do. If you’re not sure yet, try creating that list I talked about earlier. Write down everything you love doing, or that inspires you. What are those things you always come back to and can’t shake loose from thinking / dreaming about? When you do know what job you’d love to have, write it down. Declare it. Tell your friends and family because having their support as well as accountability for your dream, helps you move forward and make it happen. Seems funny to ask you to assess how PRACTICIAL your DREAM job is…but I want you to do just that. Whether you’re at the beginning of your career, or you’re wanting to transition to something brand new in the middle of your career journey, you need to know what it’s going to take for you to accomplish your goal. Do you need any additional training, knowledge or skills to do your dream job? Is it in a field you’re already in, but you’re simply shifting perspectives? Or, maybe you need to go back to school, apply for a training or certification,or simply teach yourself some new skills? Finally, do as much research as you can on the job you want to call yours. Knowledge is power, and in order to manifest your dream job, you’ve got to be powerful in your pursuit and tenacity. Visualize what it would look like, feel like, and BE like working in your dream job. What kind of space are you working in? Who are you working with? What does your work day look like doing this job you love? What kind of lifestyle do you lead alongside having your dream job? See it in full detail! And do this daily. You can meditate on it, journal about it, or simply go to bed each night envisioning your dream job with such clarity that it would seem crazy if you didn’t make it happen. This is where vision boards come in handy. My version of a vision board for my movie marketing job, was while I was in graduate school I created a feature wall of movie posters in my bedroom. I only added movies I loved and was inspired by…the kinds of movies I envisioned working on. I literally saw my dream when I went to bed at night and as soon as I opened my eyes in the morning. I began living and breathing my dream job even before I started it. Don’t underestimate the power of visualization! Surround yourself with inspiration, people and opportunities tied to your dream industry and career. Get your hands on industry publications, books about your dream job, and read the latest news and blogs about what you want to do. Linked In is a great resource to search for people who already have your dream job or have a position that’s aligned with what you’d like to do. Reach out to them and ask for an informational interview, or even a phone call or coffee. Pick their brain and understand the path they took to get where they are now. Prepare well and ask good questions and be sure to express your desire to be in a similar job and why. Find an internship in your desired field if you’re in college or right out of college. This is one of the best ways to make connections and prove yourself invaluable to people who have the ability to hire you. It’s all about who you know, so don’t be afraid to network in your desired field, even if that field is brand new to you. In order to manifest your dream job, you MUST believe that it’s possible. You have to believe without a shadow of a doubt that what you want is in your grasp and it’s only a matter of when it will happen, not if it will happen. Some people may think they can skip over this step, but it is THE most essential thing you need and your biggest asset on your journey to making your dream job come to fruition. Believe in yourself. Believe that you have value to contribute in your chosen field. Believe that you are worthy of having your dream job and that they’re going to simply love you! Let me leave you with this little nugget of wisdom that I didn’t realize at the beginning of my career…you can have multiple dream jobs. Just because you manifested one dream job doesn’t mean you can’t have another dream. You get as many dreams, big or small, as you desire. Since leaving Disney 3 years ago, I’ve manifested my next dream job as an entrepreneur! I’d always wanted to be my own boss, and if I’m going to work hard, I love the idea of creating something of my own that can help and inspire others. I’m doing that now as a Brand Strategist helping other entrepreneurs build their brands to attract their ideal clients so they can grow businesses they love. I guess I’ve got dream job #2. What’s your dream job? I 100% believe that you can have it if you’re willing to do the work! Start owning it, declaring it, visualizing it, taking action towards it and connecting with people who can help you make it happen. After spending 15 years marketing movies from Disney, Pixar, Marvel, Touchstone and Dreamworks, helping launch multi-million & billion-dollar franchises, and managing global brands with fiercely loyal fans, Hilary Hartling has a deep knowledge and innate skill in growing and leveraging strategic brands. Hilary made the leap from corporate to founding Hilary Hartling Headquarters to apply her experience in helping others create inspired brands with positive impact. 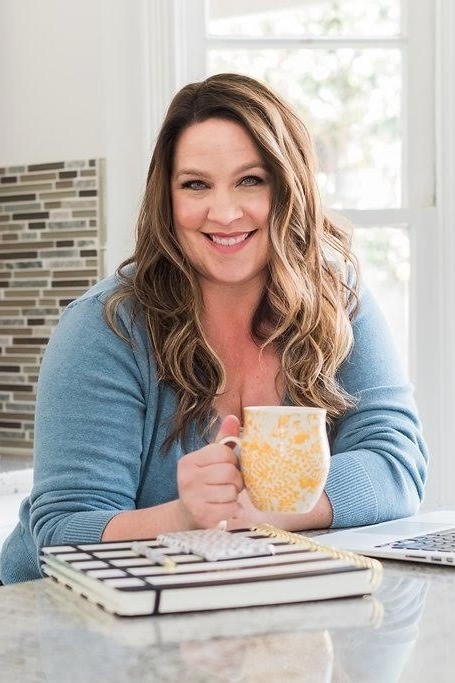 She’s on a mission to help Visionary Entrepreneurs and Business Leaders move their audiences by refining their brands to create powerful engagement and intentional growth.